"I definitely recommend this product. It worked very well, clear instructions, and I like that there is a little extra molding material for practice. 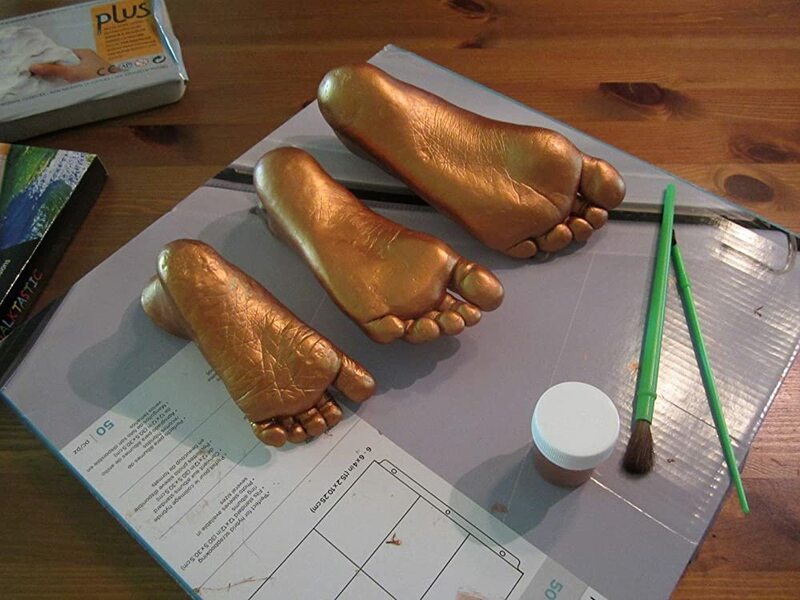 I have done hand and foot molds professionally at a children's hospital and purchased this kit to make hand and foot molds for a family in my neighborhood. This kit worked great. My only tip is to get as many of the air bubbles out of the plaster mix as you can BEFORE you pour it into the mold. Use your spoon to smash the bubbles on the side of the cup. Your mold will turn out much cleaner if you do this." "This kit was a wedding gift for me niece. She and her husband love it. After the ceremony they cast their hands together. The set time took longer that expected, but the final result was worth it." "I purchased this to do for my terminally ill husband and myself. I loved how it turned out. It is beautiful. 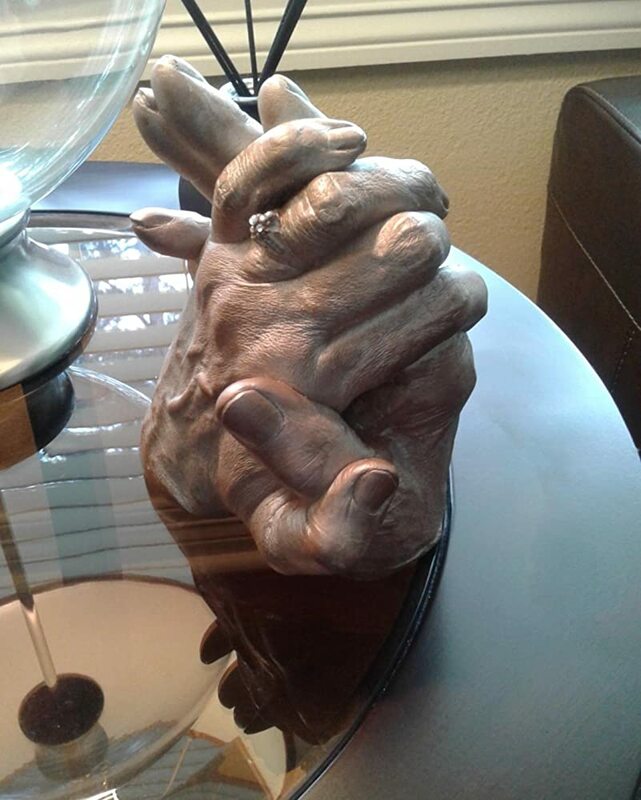 The directions were easy to follow and I am so happy that I have this keepsake after my husband passes." "Amazing! I'm going to cherish these memories for ever! 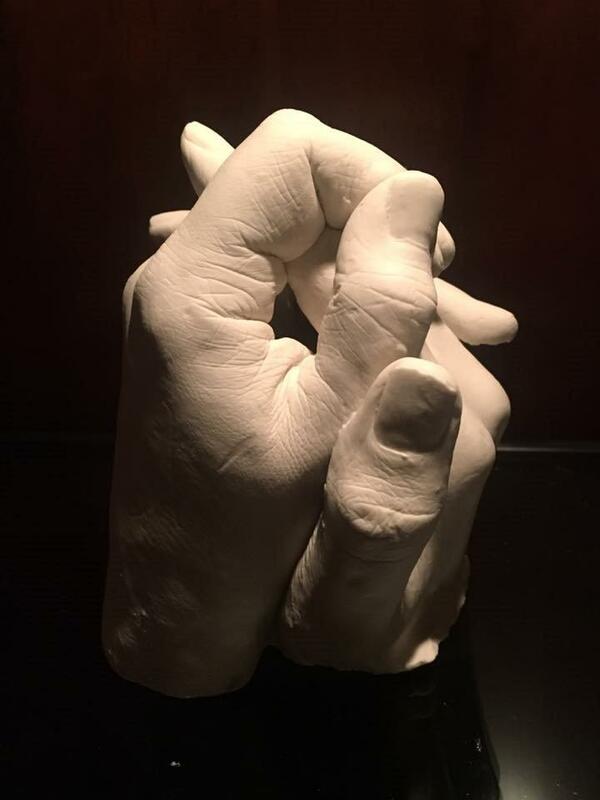 We did the cast with my six week old last night. 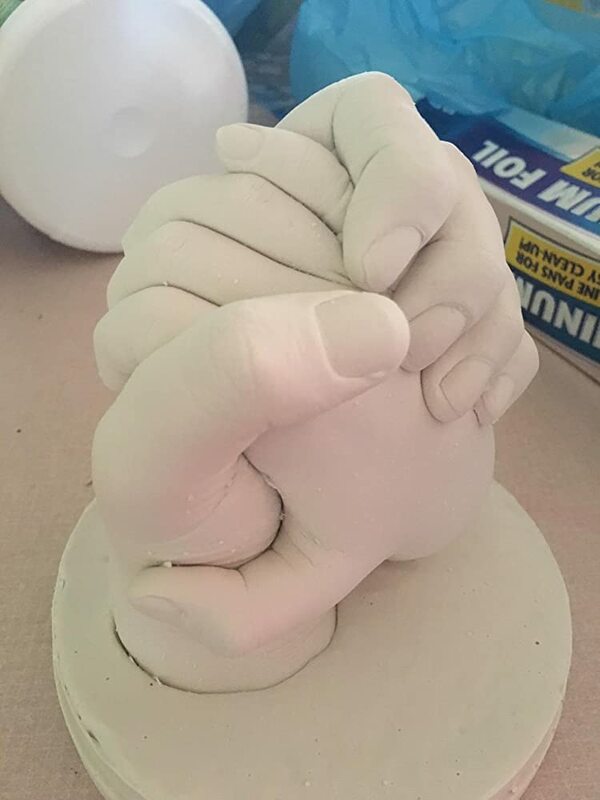 The 1st hand and foot cast turned out pretty good but she's a wiggle worm and touched the sides so they weren't perfect. We redid the hand cast and while she was sleeping and she instantly woke as soon as we put her hand in. 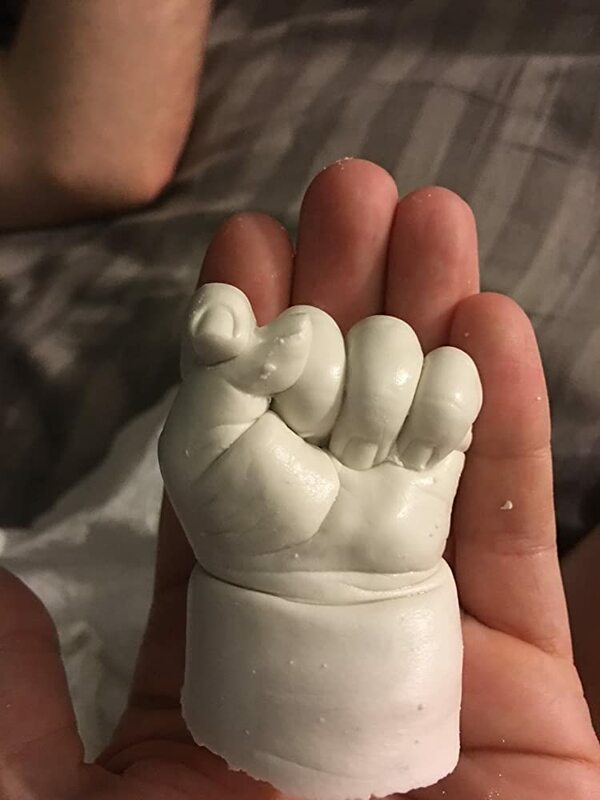 So we got the clenched fist and it's still awesome even though we were hoping for the open hand :) we will definitely buy again and for baby shower gifts. We want them to come out with a kit so I can do my older kids 10 and 9 and a while family lot"
"This is kit was incredibly easy to use and we love the results! Even with letting our 3 month old daughters hand sit in the water for a second she still freaked out a bit when we put it in the molding. We were worried that she moved so much the molding would be ruined. While the base isn't so pretty, her hand turned out great. The base we can fix with a drimmel so we aren't even worried about it. So far we have only done one of the castings, but I highly recommend it! Such a great keepsake!" PRESERVE EVERY PRECIOUS DETAIL! 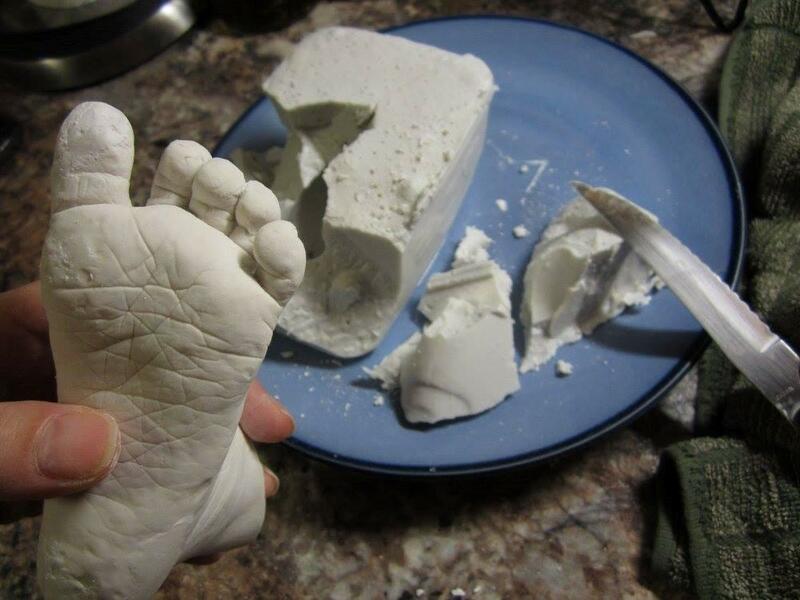 The unique rubbery mold captures every fine line and fingerprint - even if baby wiggles.